Rachel Von | The Journal Gazette David Rousculp's idea to write “My Dead Clown” was formed more than a decade ago in Ohio. 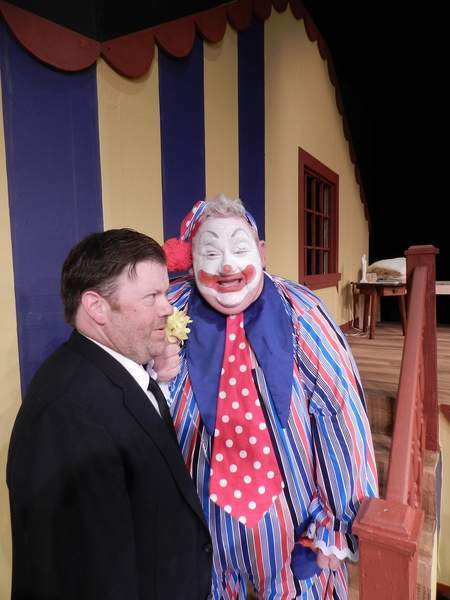 Courtesy Duke Roth, left, and Reuben Albaugh star in “My Dead Clown” at First Presbyterian Theater. Rachel Von | The Journal Gazette Portrait of David Rousculp, writer of "My Dead Clown" which will premiere at First Presbyterian Theater. Where: First Presbyterian Theater, 300 W. Wayne St. It was years ago that a clown character started talking inside David Rousculp's head and wouldn't leave him alone until the funeral director wrote his story down. 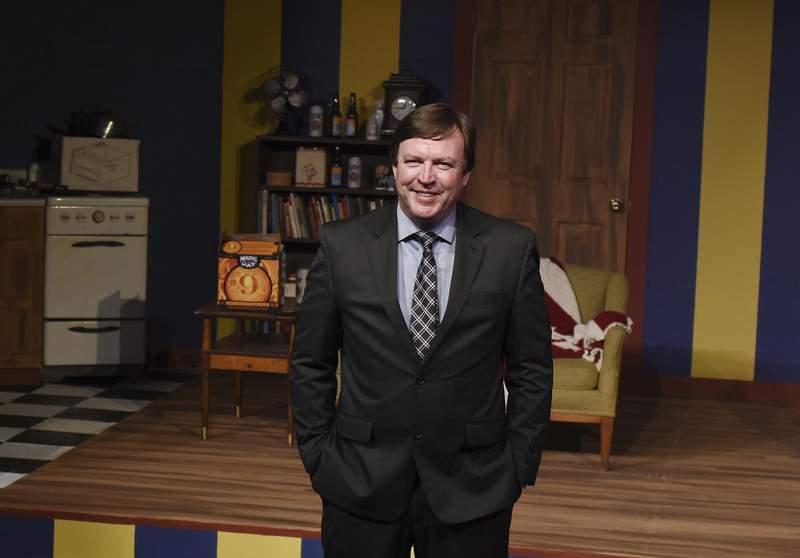 After several iterations, Rousculp's comedy “My Dead Clown” has a preview tonight before opening Friday at First Presbyterian Theater. More than a decade ago, Rousculp was living in Cleveland and doing theater when he decided to take a film-acting class. He wasn't a writer then, but the teacher needed someone to come up with short scripts for the actors to work on, so Rousculp began taking writing classes. The teacher later wanted to film a piece in his home, which was above a dojo where he taught stunt fighting for film work. In the story, a funeral director, Bill, is in despair over the recent death of his wife. He is making a mess of his life and job. He accidentally pours holy water into the embalming machine and brings an irritating clown, Dingy, back to life. The script was submitted to the Indie Gathering International Film Festival script competition in Hudson, Ohio, and won second place for comedy short in 2005. Rousculp was approached to make a movie out of the story, so he began working on expanding the piece into a full-length script, a version of which got into the hands of Tim Conway. The comedian and actor called Rousculp to tell him it was a great script. That inspired the writer to push on with the project. He had a production company and budget ready to go, but when the recession hit in 2008, the investors pulled out. It was a hard blow. About four years ago, Rousculp moved to New Haven where he is general manager of Harper's Community Funeral Home, which he lives above with his wife, Patricia. It was his wife that discovered the Northeast Indiana Playwright Festival and encouraged him to enter. He was resistant at first, telling her that writing a play was totally different from writing a movie script. But she pressed on, telling him to dust off his clown script and put it back out there. He did – barely making the deadline, he says – and the piece won second place in early 2017. 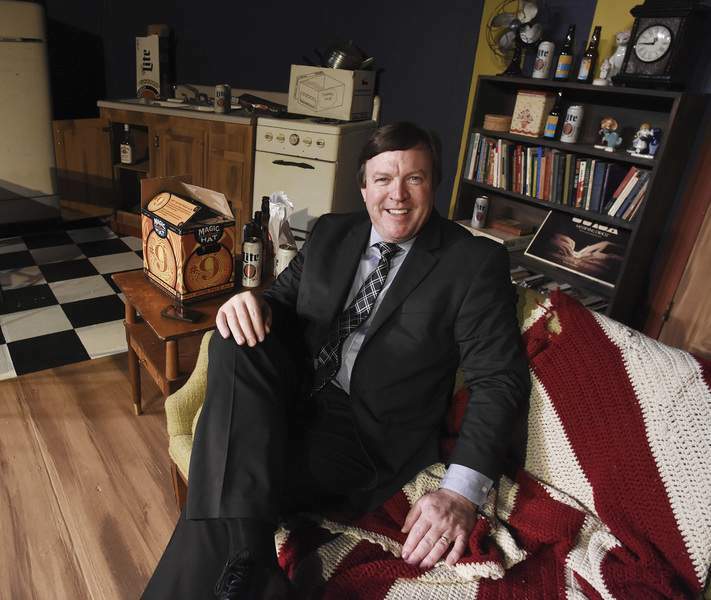 The play was read on stage as part of the festival, and it drew interest from leaders of the local theater community, including First Presbyterian Theater's managing artistic director, Thom Hofrichter, who encouraged him to come check out their space. Rousculp went to see a production of “Taming of the Shrew” and thought the First Pres stage would be perfect for “My Dead Clown,” a slapstick show that requires space for the characters to move. He and Hofrichter came up with a deal for “Clown” to be produced at First Pres as a sort of rental of the space, and Rousculp went out to raise the money needed. When setting its 2018-19 season, First Presbyterian Theater board went over the script and decided to add the show to its season. Hofrichter calls the show funny and a little bit odd and remembers hearing the reading at the playwright festival last year. He says the play is ready for a production, which a lot of new plays aren't. And Rousculp is in the process of rewriting it again, this time translating it back for use on the screen. The full-length play script made its way to producer Mike Chinea, who called Rousculp up, interested in making it into a movie. If things go well, the independent film could be shot next summer in Fort Wayne. Rousculp is filming a couple showings of the play at First Pres. Those recordings and the script will then be taken to other producers to raise money for the movie. The more money it raises, the bigger the stars the film might be able to attract. For now, audiences can see the play at First Presbyterian through July 22. Duke Roth stars as Bill and Reuben Albaugh is Dingy. In the play, Bill is ready to give up on life and commit suicide, something Rousculp sees often. “To me, it's just heart-wrenching for me as a funeral director to see people waste such wonderful lives,” he says. He wanted to show a story where a person pulls out of the fog of despair and sees the light. The song is a big-band jazz swing number. Rousculp recorded some tunes on his phone and wrote the lyrics about talking someone out of suicide. And then he went to Sweetwater to get it put into sheet music. It was recorded with Kat Bowser on vocals. The song is available on services such as Amazon. After Rousculp recoups the money he put into recording the song, a percentage of the royalties from the lifetime of the song will be donated to the National Suicide Prevention Lifeline. “If it helps one person, that's amazing,” Rousculp says. The playwright says the show, song and potential movie coming together now might be something akin to destiny.